The Science with Sykes Key stage 2 science trolleys cover an entire curriculum area, are designed to contain all the resources you will need, neatly arranged in a handy, drawered storage trolley - less prep-time means more teaching-time! Although ideal for home-schooling environments where space is often at a premium, these sets are perfectly tailored for any schools teaching the current Key Stage 2 science curriculum, and will excite and enlighten any budding scientists. From understanding our solar system, to natural disasters, weather patterns and environmentalism, this kit will introduce key concepts enabling students to better understand our planet and the interaction we have with it. Along the way they'll cover topics including: The planets, including time zones, Earth geography, seasons and Moon phases; Recycling and pollution; Solar energy;Weather patterns and the water cycle and Natural disasters. 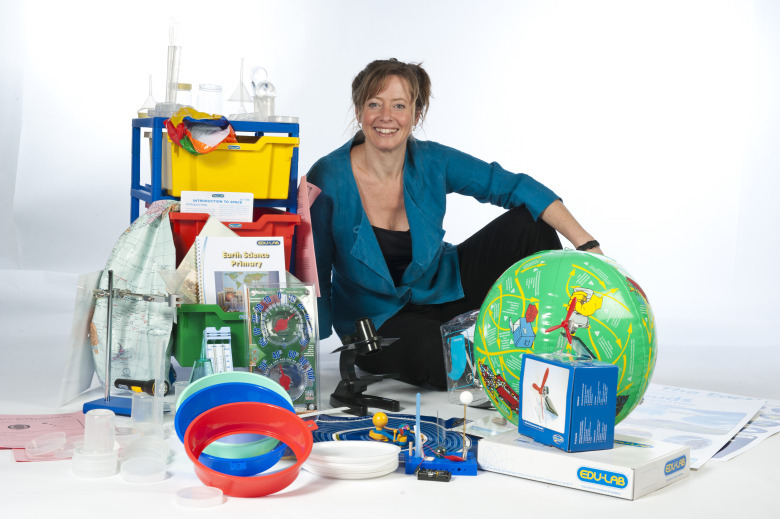 These kits have been endorsed by Kathy Sykes and Edulab has worked closely to develope the 'Science with Sykes' program to include three ready to go kits designed specifically around the UK primary curriculum. 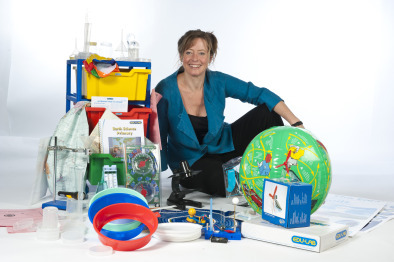 The Science with Sykes program also includes a large range of specific kits for delivering parts of the curriculum such as magnetism, fources and friction, light, sound and many more. The invaluable input of Kathy ensured that the 'Science with Sykes' has been a flying success!